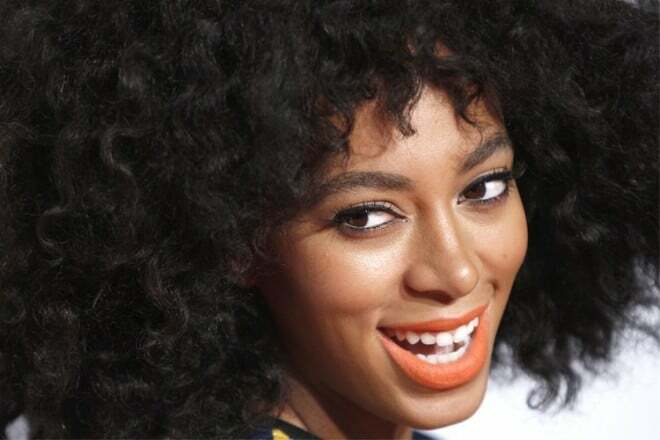 Is Solange Knowles plagued by drug abuse? It seems things might actually be worse than previously thought for Beyonce ‘s sister, Solange Knowles as a new report tells how the singer has resorted to drinking and possibly drug abuse after hitting a roadblock in her career. According to the nypost, Solange Knowles was ‘crazy drunk and out of it’ when she launched her attack on Jay Z. Unsaid is what else she was on that was making her out of it. Standard hotel fires employee who leaked Solange Knowles video. The leaked attack since gone viral shows the singer attempting to punch her brother in law, Jay Z , whose label, Roc Nation, coincidentally had only recently dropped the singer. What thought caught most viewer’s attention was Jay Z’s wife’s nonchalance (dare we even wonder smirking) at the battering as the trio descended in an elevator after having momentarily just left a Met Ball after party at the Standard Hotel in the Meatpacking District on May 5th. According to sources the singer has struggled to gain traction since being dropped by Jay Z, even with starting her now label, Saint Records. At present it is not understood why the label dropped Solange. Which might be another way of saying, her family had to provide stability for her. Something that Jay Z must have been keeping close tabs on over time. Interestingly the elevator fiasco came after Solange was earlier that evening spotted having a loud intense argument with designer Rachel Roy earlier at the Standard Hotel’s Boom Boom room. Despite the heightened media scrutiny that has arrived as a result of the leaked video Jay Z and Beyonce put on a show of unity at the Barclays Center (naturally) on Monday, sitting courtside for the Nets game against the Miami Heat. Meanwhile, bosses at The Standard are trying to track down who leaked the surveillance tape to TMZ for up to $250,000.